These friends also understand their need to be silent sometimes and not speak a word. And they are completely fine with it. Introverts and by association their friends, know that it is not always necessary to be talking to enjoy each other’s company. Introverts analyze everything deeply and so it is natural for them to have long pauses in between conversation. They need people who don’t get awkward because of these gaps in the conversation and are comfortable in contemplating on their own. After all, they do say that silence is golden. It is not unusual for an introvert to run out of words to express how they are feeling. Most of the times, they are too overwhelmed by the intensity of their emotions to be able to articulate them in words. In such situations, being around people who can understand them despite the few words uttered is nothing less than bliss for an introvert. Nothing can be better for an introvert than a quiet sanctuary of their own. They are a thousand times more productive when left on their own, as opposed to working in a team. They also need this space to pursue their passions, away from the prying eyes of the world; a place where they can be alone with their thoughts and enough time in a day to be able to make this possible. It is true that an introvert has to maneuver through a world which largely operates according to the extroverts. That doesn’t stop them from carving a niche for themselves or change their need for solitude. 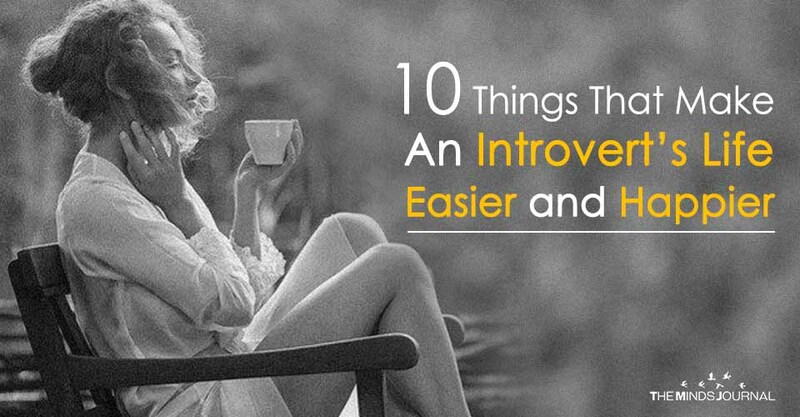 By now, you must have gotten an idea how important people, especially friends and family are for introverts. At every step of the way, they need the cooperation of these people who understand what they are going through and are ready to make any concessions for them. These are their people and they ensure the happiness of an introvert, every single day. Let’s be honest. Most of us are happy to work near terrible jobs, as long as they pay the bills. Not so much the case for the introvert. Unless they are doing something that mentally and emotionally satisfies them, they will remain flummoxed and unhappy. For them to be able to enjoy their work and be happy in life, they need to connect deeply with whatever it is they are working on. They need time to do things at their own pace. Even more important than that, they need time to respond to things; at their own pace. They don’t have a store of ready gibberish to throw at the other person. They carefully and meticulously plan their correspondence. For them, people who are impatient and intolerant, are nothing less than the spawn of Satan. Under too much pressure to respond, they are often not able to function to the best of their ability.